Sometimes fiction can tackle trauma that is too painful to be spoken out loud. That was Cambodian American Variny Yim’s experience when she wrote her first novel, The Immigrant Princess. Inspired by her own family, the story is about three generations of women from the Cambodian royal family who tried to rebuild their lives in America. It was Yim’s father however, that became a focal point for her while writing the novel. "I believe I could not have written this book without the soul of my father, the soul of the Cambodian people," said Yim whose earliest childhood memories were filled with a loving family life, but they are overshadowed by loss and pain of the Cambodian genocide. "I only have a few memories of my father and one of the most heartbreaking memories for me is the day that we left Cambodia. He had taken us to the airport," remembered Yim." I was too young to understand what was happening, and I remember walking up the stairs to the airplane and looking back on the tarmac and my father waved at us. What I didn’t realize was that would be the last time that I would ever see my father’s face." Cambodian American novelist Variny Yim says, "I only have a few memories of my father and one of the most heartbreaking memories for me is the day that we left Cambodia." Yim, her sister and grandparents escaped before the Cambodia genocide. Her father, who stayed behind to care for aging parents, became a victim of it. Over a four-year reign of terror, members of the communist Khmer Rouge and leader Pol Pot killed roughly two million people. Yim and her relatives joined her mother who was studying in the United States. Yim said they owe their lives to her grandfather who made sure they left the country. Unlike other Cambodians, they were all part of the Cambodian royal family and were related to King Norodom Sihanouk. 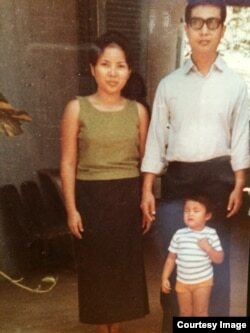 Yim’s mother was a princess in Cambodia, but in the U.S. she was just another refugee. Yim said as a young girl in the U.S. the genocide was far away as she tried to adapt to American life. She didn’t internalize what it meant that her father was killed in a genocide until she started researching Cambodian history while writing her book. Until that point, the details of her father’s life during the genocide and death had been a mystery. Her research led her to Cornell University’s archive of confessions from victims of the Khmer Rouge at Tuol Sleng prison. It was Pol Pot’s secret prison where people were interrogated, tortured and killed. According to some estimates, 14,000 people entered Tuol Sleng also known as S-21. Only a small handful survived. 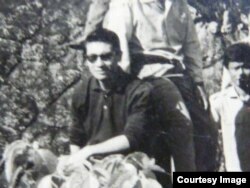 In Cornell’s archive was proof of what happened to Yim’s father during the genocide. "One of the hardest days of my life was when I got an email from Cornell confirming that they had found my father’s name and confession," said Yim as she remembered years of speculation about what might have happened to her father. “It was finally wonderful to know the truth. The truth really sets you free,” even if it was painful, said Yim. With the memory of her father and her mother and grandmother as inspiration, Yim said she needed to write The Immigrant Princess to not only face the past and not let the genocide be forgotten, but also to remember the beauty in Cambodian culture. “My upbringing, there was so much joy and appreciation and love and gratitude and just the Cambodian culture rich in music and art and food and family, and I wanted to write a book that exemplified that,” Yim added the book also had to explore more serious themes. Yim says she wrote the book for her children so they will know what happened, to honor her loved ones who were killed, and for Cambodians to know that the genocide may have left a scar but it does not define them as a people.